Maritime chartmaking is usually about showing what’s there. Ships need to know about rocks and shoals and reefs. They need to know where coasts are for shelter, for victualling and also – because land and not water is the mariner’s greatest threat – to stop banging into them. Cartographers rarely have to deal with what’s not there. But in 1875, the great ocean surveyor Captain Sir Frederick Evans faced just such a task. For four and a half centuries, the Pacific Ocean had been filling up with phantom islands – false sightings, hopeful imaginings, brazen inventions, icebergs, pumice rafts, navigational errors. Evans applied a rigour gleaned from half a lifetime at sea, surveying the waters around Australia, and from a fine scientific mind: his treatise on magnetic deviation in iron ships was the standard text for years. As the new chief hydrographer to the Royal Navy, he set to work on the latest chart of the Pacific Ocean. He filled his pen with red ink and – like Moses destroying the golden calf – consigned 123 islands to the topographical fire. So zealous was his eradication that three of them turned out later to exist after all. Evans’s vanished islands represent one of our most persistent responses to the physical world. The words “fantasy” and “island” have always been natural partners. An isolated piece of land in a watery vastness is an image that resides deep in the collective unconscious. Frailty and isolation, possibility and lotus-eating combine in it to suggest something fundamental about our place on this Earth. John Donne was wrong when he wrote “No man is an island”. We’re all islands. From Bacon’s Atlantis to More’s Utopia and Barrie’s Neverland, non-existent islands have been places where mortal constraints can be shaken off, the greatest pleasures indulged. Top-end tourist islands still offer something similar. In the 15th and 16th centuries, hopes of finding the mythical island of Hy-Brasil in the Atlantic Ocean filled the gaze of many an explorer, Cabot and Columbus among them. 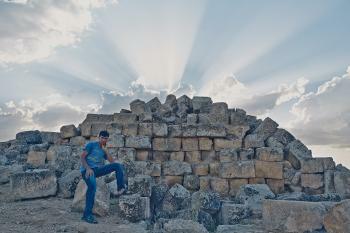 Bogus accounts of the island sang of its virtues. The Elizabethan manuscript “Voyage to O’Brazeel” tells of a people living in perfect Christian virtue and happiness. Even long after the Atlantic had been criss-crossed, belief in the island and its qualities persisted. In 1668, a quack doctor in Ireland built a lucrative practice on his tale of having been abducted and taken to Hy-Brasil; in the Library of the Royal Irish Academy is his book of miraculous cures, “The Book of O’Brazil”. 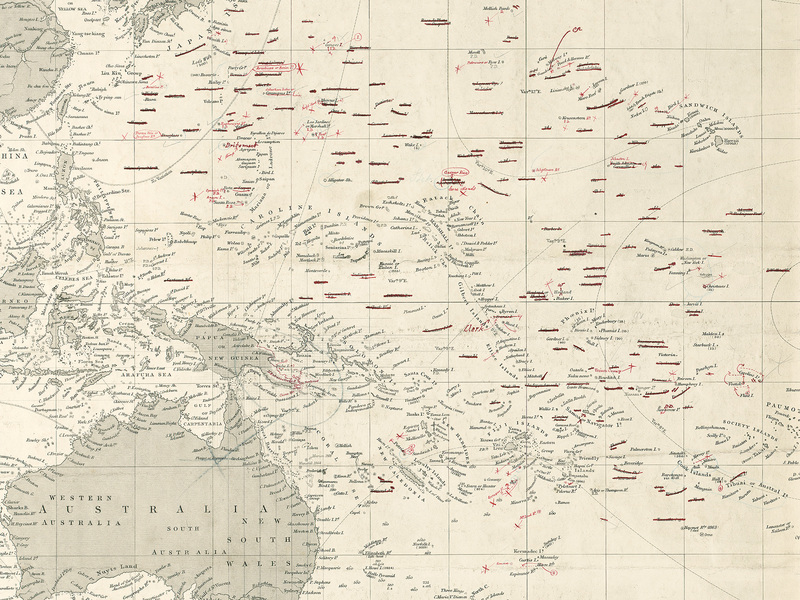 Evans’s 1875 amendments to Pacific Ocean Chart 2683 were a triumph of empiricism over wishful thinking, of strict cartography over the old tendency to embellish the real world with wild imaginings. But as the years passed it turned out that his red pen had left intact many false islands. 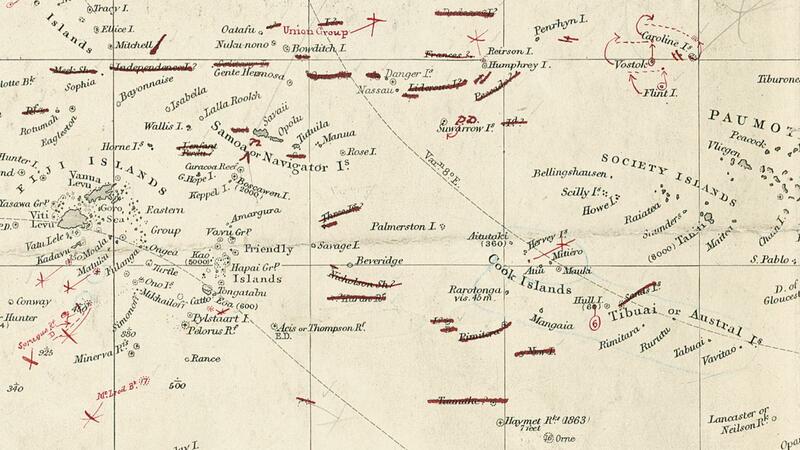 To the north-west of Hawaii on the chart is Morrell Island (its “PD” caption signals its position as doubtful, rather than its existence). It was named after Captain Morrell, whose accounts of his early-19th-century voyages were immensely popular. They were also somewhat playful with the truth. Morrell Island was still there in “The Times Survey Atlas” of 1922; even in the 1980s, it could be seen in prominent letters on globes in the offices of Lufthansa. One island was un-discovered as recently as 2012. Sandy Island, off New Caledonia, was the size of Manhattan. But then a survey ship steamed – slowly, for fear of running aground – through its position and found the depth of water to be 1,300 metres. It is reassuring somehow that Sandy Island, first reported just months after Evans’s purge, appeared on charts throughout the 20th century, and even on Google Earth.